Knap sack or back pack, we have the inside track to pack your snack, Jack. Whether you’re looking to feed a group or you just need a little change up from your usual lunchtime routine, check out our new, convenient lunchbox sandwich meals in our delis! Choose from the Brown Bag (half a BYO sandwich, cookie and chips), the Classic Lunch Box (half a BYO sandwich, cookie, bag of chips and 3 oz. 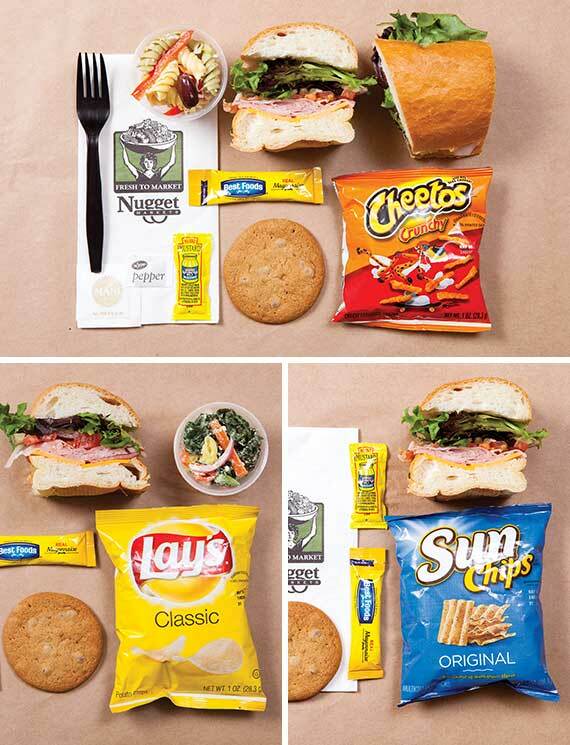 salad) or the Deluxe Lunchbox (one BYO sandwich, cookie, bag of chips and 3 oz. salad). The lunch possibilities are practically endless. * Salad and chip selection may vary by store. 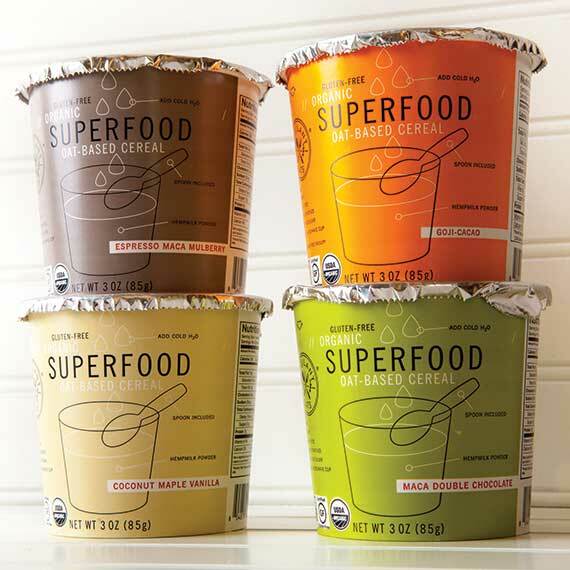 There’s a swift and ultra convenient way to get a “super–food” healthy, fully nutritious meal! Just add cold water or milk to Vigilant Eats’ organic super food oat base cereal and stir with the spoon that’s already provided with each cereal cup. Available in varieties like Coconut Maple Vanilla, Espresso Maca Mulberry, Gogi Cacao, and Maca Double Chocolate, these cereals pack organic, nutrient–rich, high–quality ingredients (no additives, refined sugar or preservatives) into one easy–to–use cup that goes everywhere you do. 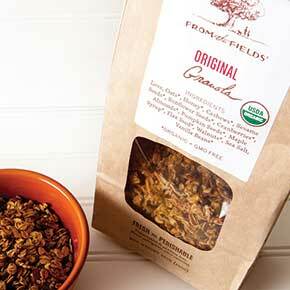 From the Fields’ granola (a local San Rafael company) is made by folks who are passionate about making quality, organic, GMO–free granola that contains nothing but wholesome ingredients. Preservative free, additive free, and made with love (Really! It’s even the first ingredient listed on the package), these granolas are available in Honey Lavender, Chocolate Hazelnut Fig, Honey Cashew Vanilla cereal, and Original. Fill your breakfast bowl. Taste the love! 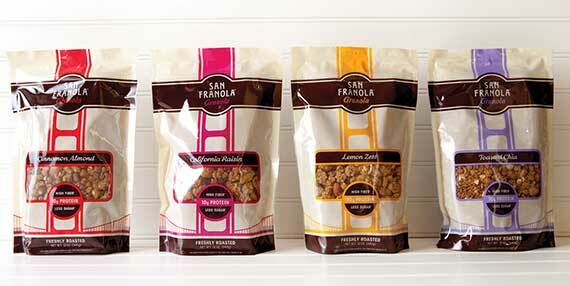 Simple, straightforward flavors and clean, freshly roasted ingredients make San Franola Granola wonderfully different. This San Francisco–based company makes granola with large clusters perfect for snacking. Available in varieties like Lemon Zest, Toasted Chia, California Raisin, and Cinnamon Almond, these granolas are the perfect addition to your favorite yogurt and they’re yummy topped with milk for breakfast. The next time you cruise down the chip aisle, consider a slight detour from the usual spud stand–by. 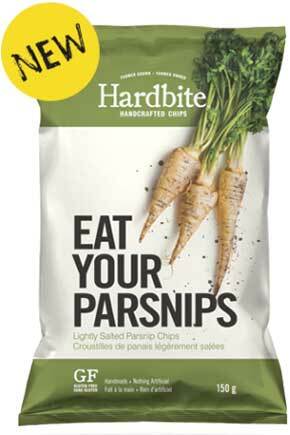 A delicious alternative to the humble potato chip, Hardbite lightly salted parsnip chips have great taste, simple ingredients, are non–GMO, and they’re handmade. Slightly sweet, crunchy and unique, these chips might just become your new snack and lunchtime favorite. When just a little chocolaty sweetness is all you crave, may we suggest Nugget Markets brownie bites? These perfect little tidbits pack big, dense chocolate flavor in each little square. 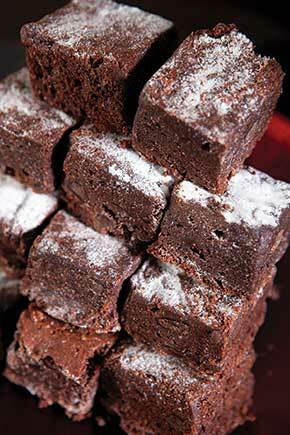 Made from scratch in–house using only Callebaut cocoa powder and chocolate chunks, our brownies are baked in sheets, cut into bite–size morsels, and rolled in a dusting of powdered sugar, with a chocolate chunk in every rich bite. 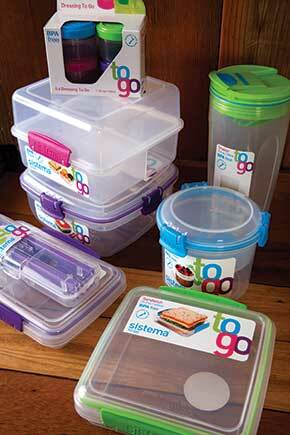 Sistema’s to go line of on–the– go lunch solutions for school, work or play provide sensible, solid, convenient containers for the do–it–yourself lunch bunch. The lunch cube to go, salad to go, and cutlery to go keep your lunch items fresh and ready when you are, and the microwaveable containers include a soup mug and noodle bowl for storing and reheating. Plus, Sistema’s functional, innovative products are made in New Zealand, BPA free, freezer– safe, and dishwasher safe. 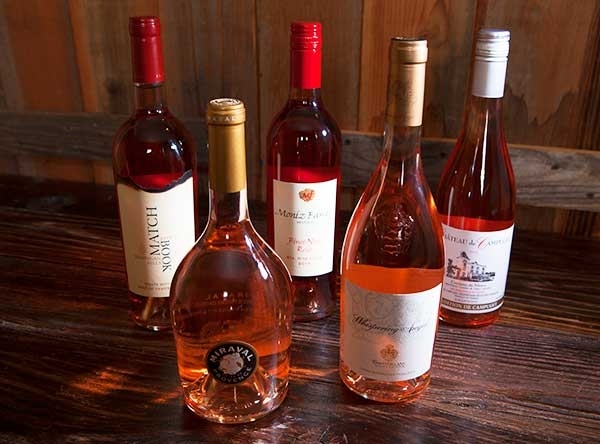 If a white wine is too light and it’s too hot for red, try a dry rosé! These are perfect summer sipping wines with enough body to complement a variety of foods. Cool off with a nice, cold, dry rosé, or if you prefer something sweeter, try a white zinfandel or white merlot—all 20% off this Friday and Saturday. At the 10th Annual Village Feast fundraiser (benefiting Davis Farm to School and Yolo Farm to Fork) guests enjoy local wines and a delicious outdoor lunch made with seasonal ingredients all sourced from local farms. We’re proud to sponsor this unique event with proceeds supporting efforts to secure local, fresh produce for school meals and establish and sustain edible school gardens, farm-based and garden-based education and recycling/composting programs. At Community Park in Davis. Prices valid August 20-26, 2014.